Captain Corey can arrange fishing trips for large groups! Large Families, Family Reunions, Corporate Outings, School Outings, Church Outings, Tour Groups or just a group of friends who want to go fishing together! If you have more than 6 people in your group who want to go on a private fishing trip together, it's difficult to find a single charter boat that can handle your group. That's because, the vast majority of fishing charter captains are licensed by the US Coast Guard to carry a maximum of 6 passengers. This is true in Daytona Beach or anywhere in the USA where the US Coast Guard, for your safety, regulates and licenses fishing charter boats and captains. 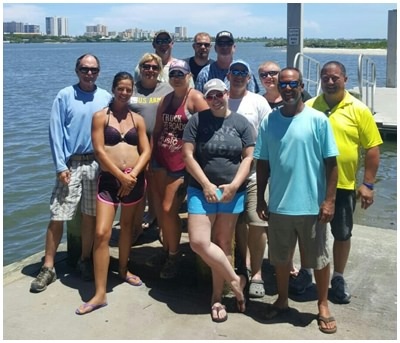 Captain Corey can arrange a private fishing charter for your large group right here in Daytona Beach. 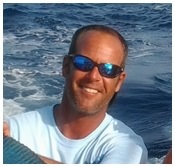 Captain Corey works closely with other local captains to provide private fishing trips for groups of more than 6. 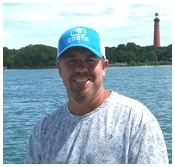 As a life long resident of the Daytona Beach area, Captain Corey has close working relationships with other experienced and reliable local captains. 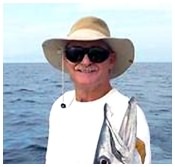 He regularly works as a team with two of the most experienced fishing guides in Daytona Beach, Captain John Schmidt and Captain Chuck 'CB’ Bragg. Together, the team of Captain Corey, Captain John and Captain CB can provide a fun filled private fishing trip for up to 18 people. For groups of more than 18, Captain Corey can arrange additional boats and captains! The 3 Captains who work together to provide Group Charters in Daytona Beach are pictured below with information about their fishing boats. All 3 are USCG licensed captains and all 3 are professional fishing guides with at least 25 years each of experience fishing professionally in the Daytona Beach area.